This is one of those summer recipes that you can whip up in under five minutes. It’s an incredibly simple dish and I’ve been enjoying it (beyond words) over the past few weeks. I just can’t help but share the love here, folks … I make easy vegetarian recipes every week- but this one’s a keeper! Sheeehhhh- it’s been hot in Manhattan and all I want is salad. How’s the weather by you? I’ve been dodging the heat for the air-conditioned food stores here in NYC every day. And after spending hours soaking up the cool air in Whole Foods Market last week, I landed upon their fabulous organic berries that looked so plump and perfect. Next thing I knew it was an hour later and I was at the register purchasing four pints of their pretty organic blueberries. Ha. Time flies when you’re having fun. Am I the only one that has fun in Whole Foods Market? I swear I could live there. I’d pull up a sleeping bag right between the avocados and the zucchini. Anyway, back to this healthy salad recipe … I’ve been craving this sweet salad every afternoon since I bought those berries. All you need is some fresh lettuce (I love Earthbound Farms), organic blueberries, pumpkin seeds, sesame seeds, coconut flakes and fresh cilantro! I know I’ve chatted with you before about my love affair with summer salads. Sweet, fresh, organic summer salads….Ahhhhhhh. Grab a large bowl and a whisk away. Fill up your bowl with these simple organic ingredients and you’re on your way to salad heaven. 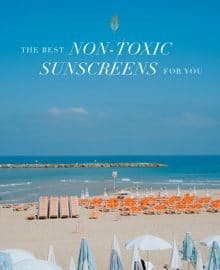 Now, don’t forget your sunscreen! And if you wanna get in on the Whole Foods Market goodness, head on over to my facebook page today for a $75 Gift Certificate Giveaway to any of their stores. You can leave a comment on this post to enter! I’ll be picking a winner tonight. 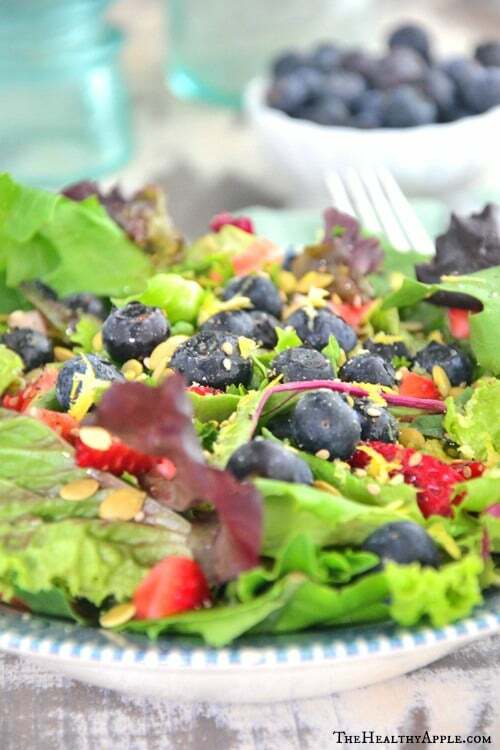 In a large bowl, combine salad greens and blueberries; set aside. In a small bowl, whisk lemon juice, melted olive oil, sea salt, pepper, cilantro and coconut flakes; pour over salad greens. Add pumpkin and sesame seeds; toss to combine. Transfer to a serving bowl. Garnish with fresh lemon zest. This looks really yummy! And not to mention I LOVE World Market so much! Would love a gift card to there. I love Whole Foods and wish there was one closer to me. It’s about a 2 hour drive but worth it. They have so many gluten free items. I love whole foods and would definitely appreciate a gift card! 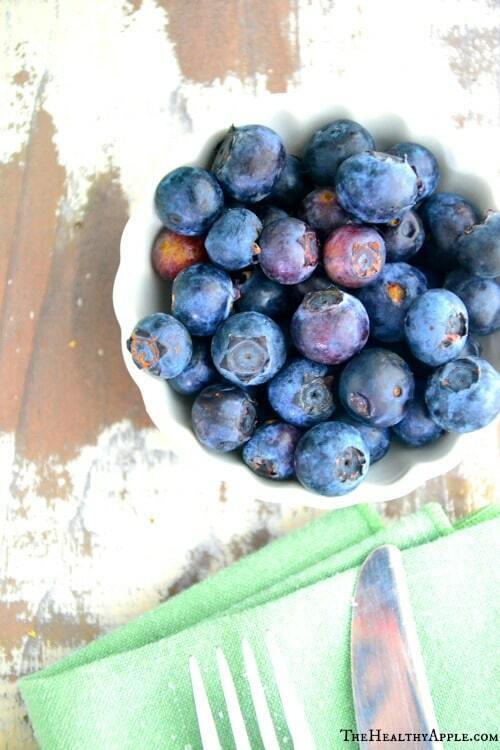 I’ve put strawberries and orange slices in salads before, but never blueberries…definitely will have to try that. And the dressing sounds delectable! Cannot wait to try it! I LOVE Whole Foods! 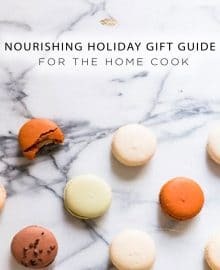 On my student budget, I don’t get to shop there as often as I’d like, so this gift card would be amazing and getting me into the kitchen to make some fresh, healthy summer recipes! This salad is so beautiful I want to cry. Hmm never seen blueberries in a salad… all I’ve got is frozen ones… maybe I’ll use them for a dressing :3 for this salad. Gracious…this salad looks amazing. 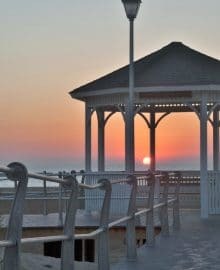 Oooh…a chance to win a gift card to one of my favorite markets? 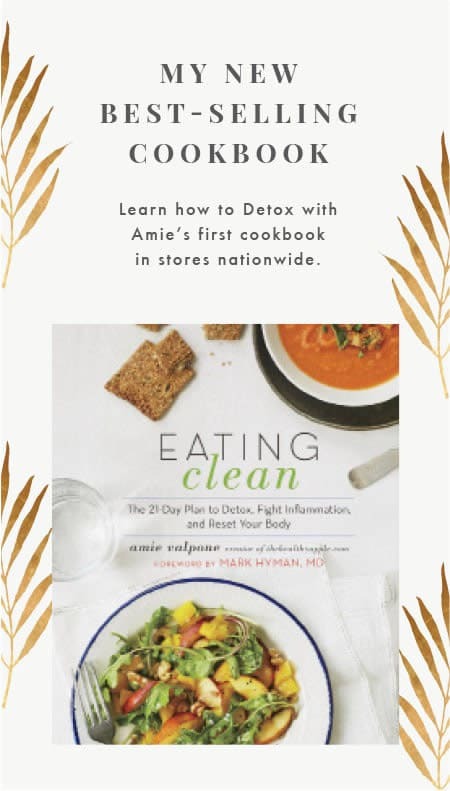 Love Whole Foods…and would LOVE to win this! What a great summery salad! I love Whole Foods too, I could spend so much time in there, haha. Whole Foods is the only place I will buy my blueberries, they would be PERFECT for this salad! I live in Austin and would LOVE an excuse to blow some money at Whole Foods!! Looks amazing and I love Whole Foods!!! MMMM. Entree Salad! Whole Foods is even yummier. I love blueberries on salads! People always give me funny looks but yummy and healthy! Aloe love whole foods! Thanks for an awesome giveaway! Love adding fresh blueberries to salads too and never thought of using a coconut cilantro dressing! I am going to have to make the dressing! I love Whole Foods too, their selection of produce and foods is outstanding! Love the giveaway. Only get my milk at whole foods! Would love the chance to go on a veggie spree at Whole Foods. I don’t make it over there too often as it is a bit of a drive, but this would make it soooooo worth it! A, this recipe looks delicious! And B, I would LOVE to win that Whole Foods gift card! 🙂 Thanks for the giveaway! Our blueberries are just beginning to ripen. I’ll definitely save this recipe and make it as soon as I have enough. Thanks! Our nearest Whole Foods is a 5 hour drive away…I love road trips AND also check to see if there’s a Whole Foods whereever I’m at. Please give me a reason to head to Omaha or Denver! This looks delicious. I have never been a huge blueberry fan (unless in pancakes or muffins) but this year I gave them a try again on their own, and I have to admit they were rather delicious. I have also been adding them to my smoothies as well. Will have to give this a try at some point. Thanks for sharing your delicious recipes. 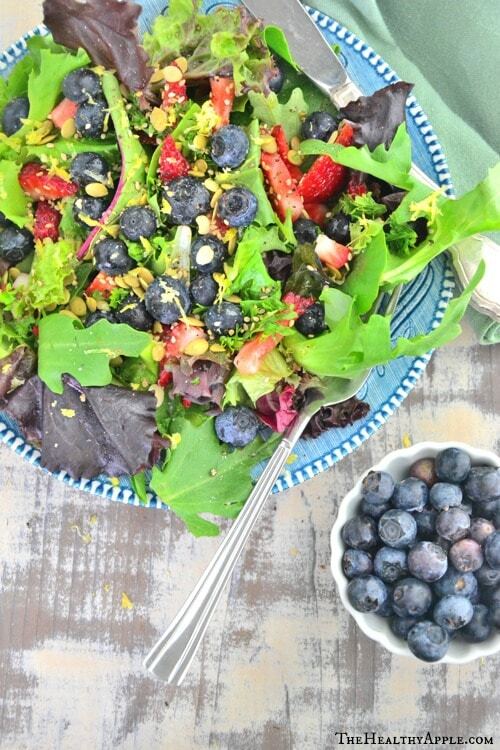 Blueberry salad! I am definitely going to make this today, without the cilantro. Sadly, I’m one of the 20% that can’t eat the stuff. And I live in Austin, so that makes it a pretty difficult affliction! But, everything else about this salad sounds perfect to me. And I live a mile from the flagship Whole Foods! Blueberries are my favorite. I have trouble getting them to grow here in our soil. Three attempts failing so I have to buy my berries. Love Whole Foods because it is like I grew them myself in my garden with their freshness, and organic. The salad looks wonderful for a great meal. I love whole foods and this recipe sounds amazing! This is “What’s for dinner tonight”! Looks yummy! This looks amazing. I know what I am having for dinner tonight! The photos are outstanding. As far as Whole Foods, love love love it. I will be camping out right there with you. I bought a great peach there the other day that reminded me of summer when I was a kid. The produce is always so fresh, the prepared items are so tasty, and lets not even get into the hot and cold bars. OMG, looks DIVINE! I adore summer fruits in my salads and coconut oil cilantro dressing couldnt be more perfect…thanks for sharing and you’re beautiful website!! I also could camp out and live in Whole Foods….we live in Austin, TX and have the honor of going to the HUGE headquarters store…it’s HEAVEN!! Crossing fingers for the $75 gift card giveaway!!! 🙂 God bless. This salad looks super duper delish! I shop at Whole Foods regularly & love it! I love Whole Foods, too, I feel like I’m on a safari, adventuring through the isles, discovering and learning about new foods and products all the time! The recently had a great sale on organic blueberries, and I indulged!! 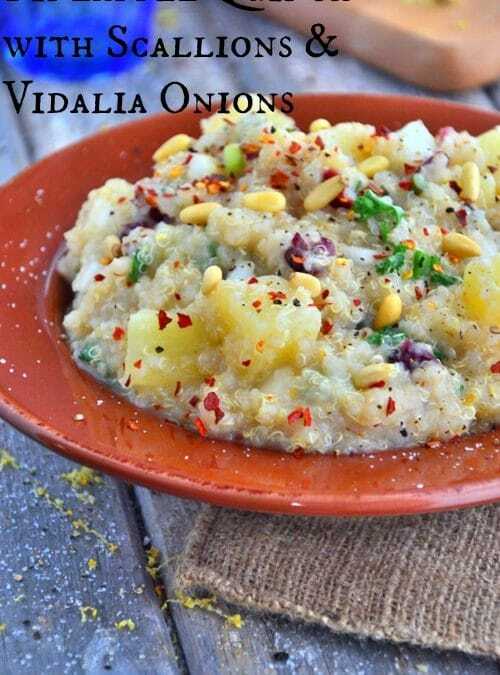 But my creations pale compared to this yummy recipe – it sings with sunny cheer! I love the idea of pairing cilantro with a summer salad that includes fruit! Nice idea. I laugh b/c I’m at Whole Foods almost every day, not always buying, but it is soooo much fun! I love the flowers, too. I have taken so many pictures of the flowers, even some of their creative artwork made by their signmakers from repurposed materials. I love that my local Whole Foods store will get new items that I’ve learned about on the web. Their cheese department is sooo amazing. I just finished reading their recent book Conscious Capitalism, you MUST read it! The name and cover look a little staid/boring, but it is very interesting, and if you already love Whole Foods, you will be even moreso. I can’t stop chatting up Whole Foods!!! I used to have access to a huge amount of blueberries, from someone who grows organic blueberries, but I’m thrilled I can still have them from Whole Foods and find a few knock-your-socks off recipes like this one! Thank you!! Yummy! 3 of my favorite ingredients: blueberries, coconut, and cilantro. I’m definitely going to try this one. Oh. My. Yum! I cannot wait to make (and eat!) this. Awesome photos too! Love some blueberries! And salad! So combining them would be amazing! Must try this! I have resisted adding blueberries to salad, but I may just give this a go! I have always thought that Whole Foods does the best job (in my town, at least) of showcasing their vegetables the best. It is literally eye candy to look through the produce section! YUMMY…. and topping it off with a whole foods gift card would be awesome ….!!!!!!!! This salad/dressing combo looks delicious. Can’t wait to try it! This salad looks amazing & so colorful! I love fruit in salads & cannot wait to try the coconut dressing! 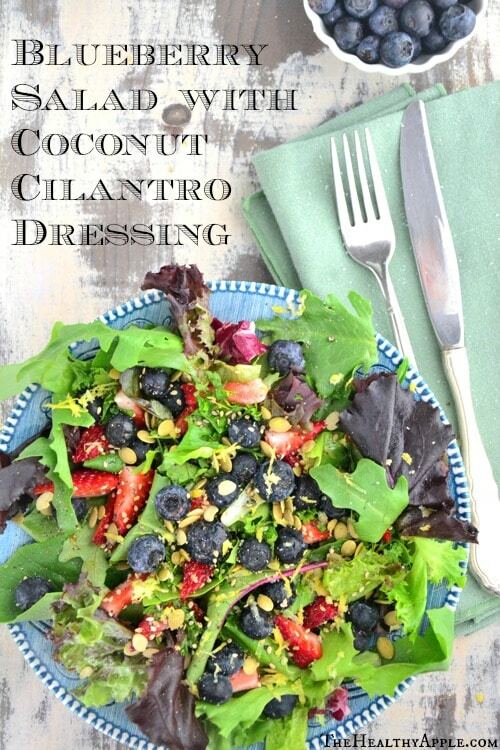 Coconut cilantro dressing – how cool. I never would have thought of that. Making this tonight, except with spinach. Thank you! I used to wander aimlessly in Target. Now I wander in Whole Foods. LOVE!! I think I am going to try making with without the cilantro. I hate cilantro, but everything else sounds so good! LOVE Whole Foods! It wipes out my paycheck, but I love the variety and organic selection. lots of typos…my smartphone is not so bright. Still having trouble grasping the savory with the sweet concept! You had me in mind when you made this, didn’t you?? 😉 I can’t wait to go to Whole Foods (leaving in 5 minutes) to get the fixings for this!! Thanks! I love all your recipes. They are always so fresh and beautiful. This salad looks and sounds delicious. I am definitely planning to make it this week for my family. Of course, I will go to Whole Foods to buy my groceries as it is conveniently located near my house. I LOVE going there and could easily spend a few hours browsing, shopping and enjoying free samples. Thanks for the great giveaway! This salad looks great. This looks so amazing! I’d looooove a Whole Foods gift card! The salad look amazing ! Thanks for such an awesome giveaway ! I’ve never used coconut oil in salad dressing before. Sounds like a delicious recipe!! 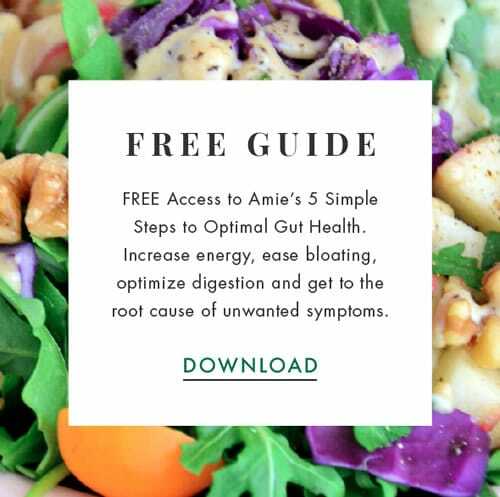 Amie- I love your recipes and website. Just found you and so very happy I did! Can’t wait to try this salad….I just bought 2 pints of blueberries yesterday and was wondering just what I would do with them. NOW I KNOW! It’s berry season again. Great recipe. That sounds so good! I never would have thought of coconut and cilantro! Will be making this soon! And a WF gift card would be fabulous! They are about a mile down the road so I spend a lot of time there as well! 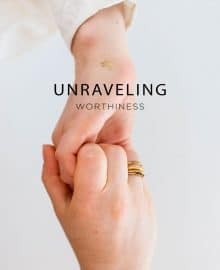 a friend posted a link to this website. i decided to visit, and plan on staying awhile. very interesting ways of doing things to food to make them different from my normal fare. 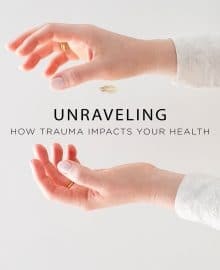 i’ve already bookmarked several pages, and can’t wait to get started. ha! baked radishes! indeed. who’da thunk it? not me. thanks for your great ideas! oh, and cilantro is great with everything! Love Whole Foods, hate fruit in salads. I love, love cilantro! And paired with coconut oil sounds so delicious! Thanks for the new recipe! This salad looks awesome! I am definitely looking forward to fixing this yummy, refreshing salad! Sounds like a refreshing, delicious berry salad! Thanks for sharing this recipe. Love berries, too and love getting new recipes to try with them. This recipe is def a keeper! I love adding fresh fruits to my salads year round…especially in the summer! 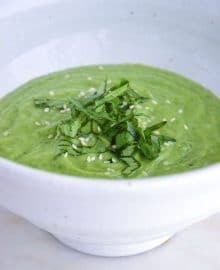 Thanks for sharing this delicious recipe…can’t wait to try out the dressing! This recipe looks so refreshing and delish! Can’t wait to try it! This salad looks awesome, its a great way for to incorporate coconut oil. Thanks for sharing. Whole foods is my fav store. The salad looks delicious. Perfect for a hot day. And money to spend at Whole Foods would be perfect too! Looks scrumptious! 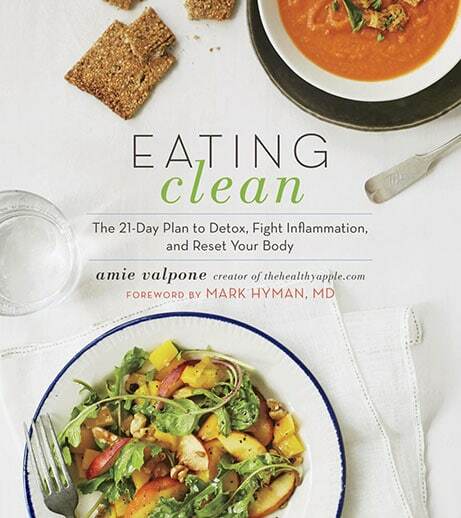 I love Whole Foods and trying out your delicious recipes! I’ve found that my dietary limitations have made me more adventurous and creative in the kitchen. Thanks for sharing! Love Whole Foods. Thanks for the giveaways. and the salad – so up my alley. I think I will be making after my run tonight. refreshing. I have all the ingredients for this one! Perfect! And thank you for the giveaway! This looks great!!! Gonna make this one tonight!!!! I’m expanding my use of fruits in salad thanks to your reminders! Thank you! It is nearly blueberry season here! This recipe looks awesome and am excited for another way to use cilantro! I sprinkle it on top of my salads, but only haphazardly. I now have a real salad recipe that calls for it….this one! And, I too love Whole Foods and would love to win the gift card. Thank you for your dedication to health and all the seasonal recipes you post! This salad looks delicious! I can’t wait to try it! A trip to Whole Foods is always a good time! Thanks for the chance to win a gift card .. This sounds like the perfect lunch on a hot afternoon. Those blueberries look absolutely delicious! I might have to walk down to the WF in Foggy Bottom to get some asap! I love, love, love experimenting with different tastes and coming up with new salads and dressings! Thanks for sharing this one – sounds perfectly refreshing for the Summer months; can’t wait to try it! Blueberries, coconut, and cilantro. 3 of my favorite things! Sounds great! Sounds good! I’ve bookmarked it. What a beautiful, delicious looking salad! Can’t wait to try it! Like to try the kitchen items…I’m a real gadget fan! This looks amazing. I’ve never tossed blueberries into a salad before. I’ll have to definitely add this to my shopping list! Saw this link on Facebook and decided to check it out! This salad looks amazing and would definitely be a great option for the huge container of blueberries currently sitting in my fridge that need to be used ASAP! Yum! Wow that looks awesome! I wonder what coconut dressing would actually taste like? So.. I think this is the most recent post? Those gadgets seem so handy! Haha, I need creamier mashed potatoes 🙂 The little Vebo Steamer sounds handy too! I do need those kitchen gadgets…anything that makes cooking healthy easier! I am definately a gadget person! Gadgets! I love them! These look fabulous. Love trying new kitchen gadgets~ Thanks again Aime for another grand giveaway! Never seen this awesome gadget before! Would love to add it to my gadget drawer!!! 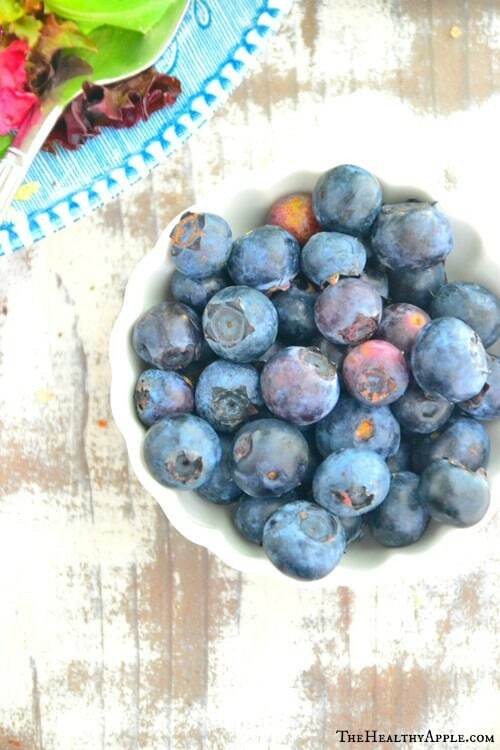 Those blueberries look so vibrant and plump! 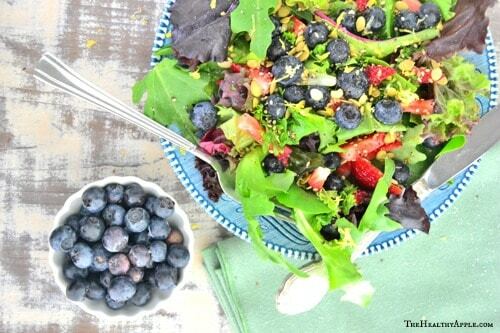 Those blueberries (and salad) are gorgeous!! Never thought up use coconut oil in a dressing! Love this! Thanks Aggie; so great to hear from you! xoxo Hope you are having a fabulous week. I am so using the excuse of wanting to get out of the heat the next time I want to go to the grocery store 😉 I can’t get enough fruit this time of year. Luckily, it’s so good for you. I agree Laura; the food stores are the coolest places to be in the heat!! Would soooooo love the blender!!! Thank you for these continued healthy giveaways!! 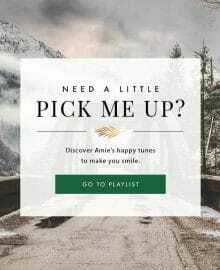 I love this recipe Aime! 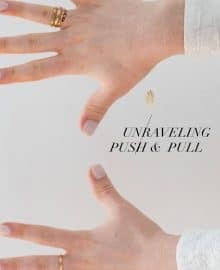 I have been in a food-rut lately and looking for new, fun, healthy recipes (especially for lunch) and this fits the bill! Thank you! Never thought of putting coconut or blueberries in a salad, although i love fruit in just about anything. I’m interested in your Ninja giveaway…not sure if this is where i was supposed to comment…..
YUM! I’ll take blueberries any way I can get them, which will include this salad. Thank you for the great recipes as always, and the giveaway! I have been thinking of experimenting with a number of salad dressings with coconut as its base. Coconut cilantro sounds divine! Especially with blueberries. I am definitely going to try this recipe! Would love LOVE the Ninja system! I live for smoothies, especially in the summer time in the South! Thanks for all the great recipes AND giveaways. Love! The Ninja looks amazing! My blender has seen better times… time to upgrade…Thanks for doing all these givaways! I saw your post on Facebook about the Ninja blender giveaway. I would LOVE to win one! I have a cheap, little blender I’ve been using for years now, and I’m pretty sure it’s on its last leg. This would really help me out. 🙂 Thanks for the giveaway offer! This salad looks so good & the colors are amazing. This would be wonderful for those hot summer days! The Ninja system looks awesome. Smoothies are so nice with all the fresh fruit, not to mention it keeps the kitchen cool. Love your site. This salad looks amazing and I have been shopping around for the ninja system at a good price. 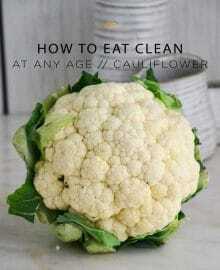 I think it will really help me with my eating-makeover! Fingers crossed! LOVE the Blender set by the way!!! But I guess I live to far (Czech Republic, Prague) to even think of winning this competition ;o) …or…maybe not!!!!! Yummy!! I would never think calantro and coconut, but it is amazing!! I wonder how long it would stay in the fridge if I make a bottle of it? Oh, never mind, it wouldn’t stay in there very long anyway because its soooooo good!! And thanks for the $75 Whole Foods Gift Certificate Giveaway and the Ninja Kitchen System Giveaway!! Winning one or both of these would be a huge blessing!! Thanks for sharing! The ninja would be lovely with all those blueberries! Your recipes are always fantastic, but your pictures are inspiring as well! This looks wonderful! Can’t wait to try it this weekend. Love your site!!! This looks amazingly good. My husband loves blueberries and I hope will love this salad. Thank you. Mmmm. That looks so good. Would you be my personal chef? Looks delicious!!! Can’t wait to put that together! Wow! 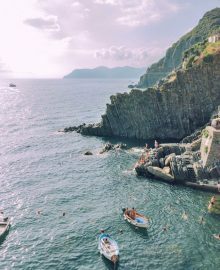 I’d love to WIN you summer giveaway. What an awesome system! As always I love your recipes! I also just went sugar free– so a Ninja would really assist me in making my own sugar free dressings, smoothies, soups, etc! I love the mix of fresh fruit and seeds ir nuts, very refreashing! Oh how I miss Whole Foods! The closest one for me is in Dallas! 3 hours! Just found you. So happy I did. That’s a lovely salad! Of course, I would have to sub another herb for cilantro (basil maybe). I’m one of those people who thinks cilantro tastes like soap! I need to make this for dinner one night! Sounds and looks so good! Yummy!! Just made a TON of Elderberry Jam! Is there anything that says “Summer” more than berries and/or melon? I don’t think so. I’ll definitely give this recipe a try! I have been following this website for some time now and all I can say is I am becoming quite the recipe addict!! Thank you for sharing so many awesome recipes!! The dressing alone sounds like it would be fabulous on so many other things too! Chicken, tilapia, quinoa….Yum!!! I would LOVE to win the Ninja mixer! would love to make both smoothies and soups!! This looks so refreshing and yummy! !1 I can’t wait to pick up some fresh blueberries and make this!!! 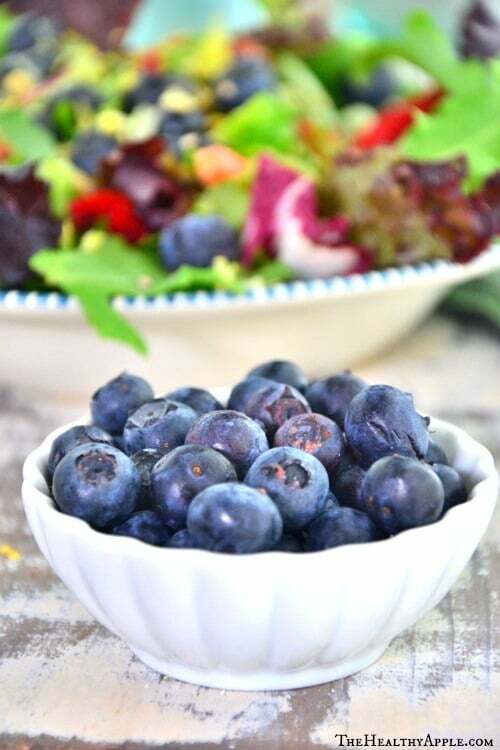 I have almost all of the ingredients for this delicious salad in my garden…except the blueberries….some varmint took them right before they were ready to be picked! How do you do it, have all these amazing give-aways ? I’m in again for the blender gift set. Got my fingers and toes crossed! I’d love this ninja system! Can you make nut butters in it? This looks like the perfect summer salad…yum. Would love to win the blender to make my own baby food. This looks delicious….and easy!!! Wonderful for the 1st day of summer!! I’ll be making it ASAP!! oh my – looks amazing! 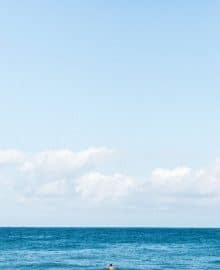 Pinned it – gonna make it! Love the recipe. Love coconut oil!! Would love to win the Ninja give away! My kids could live on smoothies! Such a great giveaway, I’d love to win! the salad looks great!! wonderful summertime food! great giveaways too!! 1) I live in Tallahassee, FL, and I swear I think the sun is trying to kill us (and the swamp bugs are certainly trying their hardest too). 3) Salads are the cornerstone of my meal plan. Thanks for an additional one to place on my repertoire. Never thought of putting blueberries in a salad. It looks great! This sounds delicious! I can’t wait to try it! Here’s hoping I win that Ninja Mega Kitchen System!!! Can’t wait to try this one! and the blender would sure help a new vegan! Ninja Kitchen System…..awesome, fantastic…..fingers crossed!!! Made this salad the other day YUM! Going to be my go to salad dressing! This looks fantastic – especially on a hot day like this! 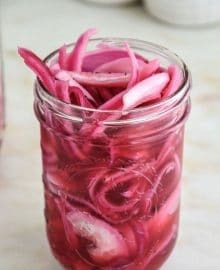 This salad is ideal for a hot summer night when looking for something “refreshing” to eat, I certainly will keep this recipe handy. Wow, never thought of putting even half that into a salad. Yum! The picture alone makes me want to eat this salad! And like quite a few other people my Whole Foods is about 1 1/2 hrs away 🙁 But sooo worth the drive there and to Trader Joes 🙂 Hope I can win the super awesome blender you have featured!!! I made this salad last night and I loved it! I hope I win the blender giveaway I need a new one desperately ! I’ve been missing my morning smoothies and juices. Love anything with blueberries. Think I will try this salad! Ninja! I would LOVE one. I’ve been doing a lot of juicing, but I don’t have a high powered blender for smoothies. Thanks so much for sharing all the freebies! This looks delicious and perfect for hot summer dinners! I can’t wait to try it! Are strawberries part of the salad? I see them in the picture but not in the recipe. Looks delicious! Only way to make it better would be free ninja! Love your giveaways! Sounds yummy! Especially for Summertime! Sooooo you had me at cilantro! Love berries! Thanks for another delicious sounding recipe! 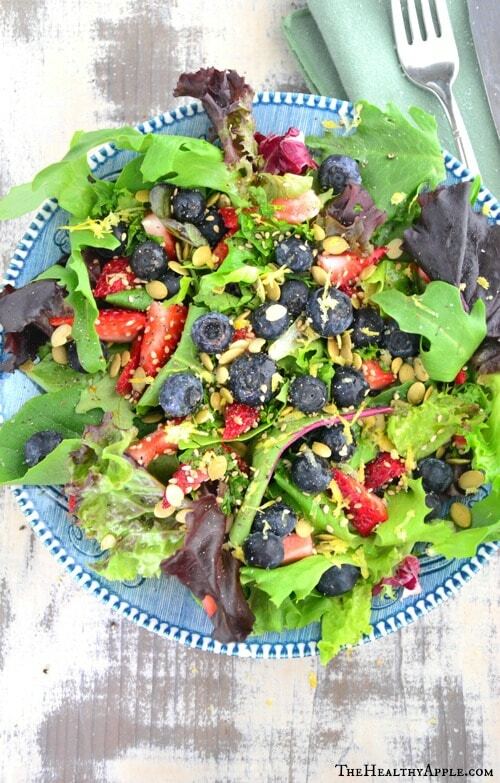 Love berries in a salad! I love how you incorporate so many flavors in your recipes. I never would of thought to mix coconut and cilantro- cant wait to try this salad!! And I would be right next to you sleeping in whole foods- so many great things under one roof! you had me at coconut cilantro! 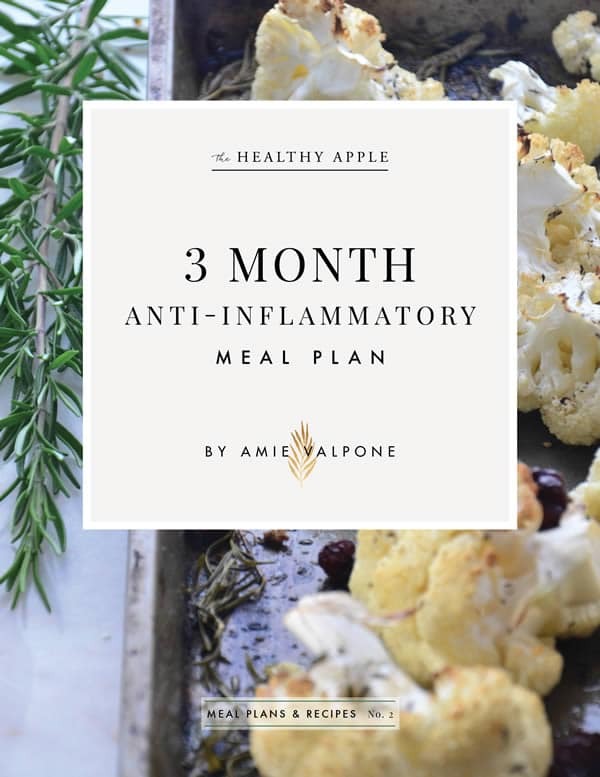 yet another amazing recipe from the healthy apple 😉 xo. I’m excited to try coconut oil as a dressing ingredient! I use it for cooking/baking but never thought for a dressing! Thanks for the great idea! P.S. This salad looks delicious! Thanks for sharing- this is delicious! I just made the salad for a graduation party and it disappeared before I knew it! Even the 18 year old graduate who has never agreed to eat fruit in his salad enjoyed it. Love the coconut mix in the dressing-and it is such a refreshing and tasty meal. Thanks for continuing to make living gluten free and vegetarian so stress free, wonderful and delicious! And thanks also for posting such wonderful give aways. I’d love to stop fighting with my blender and enjoy the endless smoothies and treats from the ninja! This looks so fresh and delicious. I just bought coconut oil from Trader Joe’s, knowing that there are hundreds of uses for it, but haven’t opened it. Maybe this will be my first dish with it! Thanks for the recipe. This looks delicious! A great summer recipe! YUM! Thanks for the chance to win a Ninja. My sad blender sounds like a dying spaceship from another land. The salad looks amazing. I wish fresh organic berries weren’t so hard to get in Hawaii. This salad looks amazing. What a great option for dinner when it is hot outside. Beautiful, and I bet it tastes amazing! I am hoping this is the most recent blog post for the Ninja giveaway, my friend bought one and adores hers! And this recipe rocks, how did you know I love blueberries??? Definitely not the only one who has a great time at Whole Foods… It’s my stress reliever to shop there! Lol. 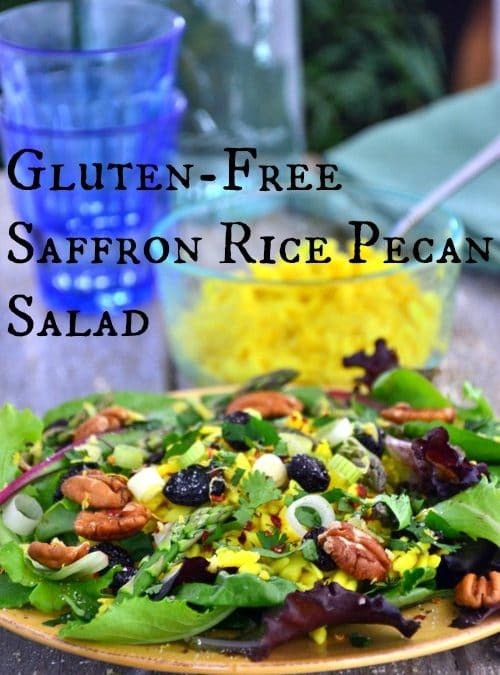 Love the addition of pumpkin seeds to this salad, too. Would love the $ 75 gift card to try this salad out! Beautiful colors! What a great salad. Thank you! I never thought to add blueberries to my salad. This looks so good! Wish we had a Whole Foods market in our small town. Love the giveaway! Trying to eat healthier for better health! Who could look at this one and not break into a smile? I love the addition of cilantro. I love fresh blueberries! This recipe is going on my list of new recipes to try, thanks! 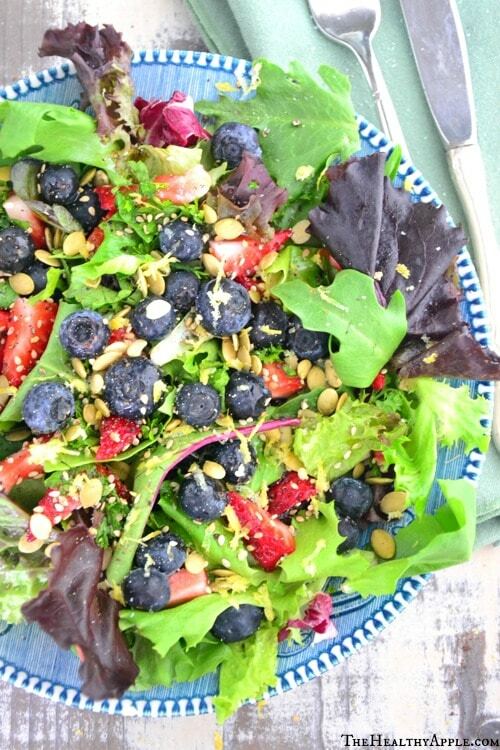 I love summer salads with berries. Thanks for the idea- wouldn’t have thought to put cilantro and coconut oil together for dressing. 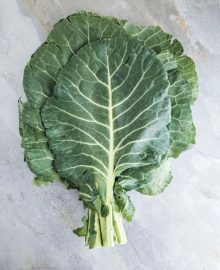 Any ideas for preparing kohlrabi, hakurei turnips, Swiss chard, kale, and/or fennel? Oh that recipe sounds so great! I have tons of strawberries in the garden right now, I bet it would be good with those too! I hope to win the ninja so I can get some smoothies going! It’s looks delicious!!!! I think I’m going to try to make this tonight!!!! 🙂 making a banana and blueberry smoothie with the ninja would be fabulous with it!!! I don’t like cilantro but know it had lots of great health benefits. Maybe combined with my favorite fruit (blueberries) it just might be tasty. Have to try this! Whole Foods had a great Friday sale on blueberries a few weeks ago. Now I’ve seen this recipe I hope they have another very soon! Love Whole Foods Market almost as much as I love blueberries! And adding cilantro into the mix well that’s just about heaven. Adding fresh herbs into my diet as an anti-aging measure for the past year or two. I’ll be incorporating this recipe into my diet! love blueberries in anything! Whole foods had a sale on them recently–wish I had bought 2 cases. Evening! I am a new follower of your website. 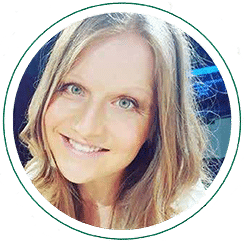 It looks like you have some quality recipes, I am eager to continue to eat more gluten free, dairy free, and sugar free (I’m thinking about eating Paleo…but still I”m looking what it all is and such). Any way, your webpage looks great! I am going to get a lot of ideas and tips from you, I’m sure of it. Thanks! PS – Also, I’d love to enter the giveaway, the blender looks amazing! Wow! I’d love to own such a quality piece of equipment, just imagine what I could do with it! Keep up the good work! Great recipe and exciting Ninja give away….thanks! Looks like a great salad. I love all the ingredients! Thank you! Amie your food photos are so stunning! As are your recipes. Will you share what kind and model of camera you use? Thanks!